Reposted from July 28, 2011: In retrospect I clearly see a much different past view of myself than the one visible to me today. Now when glancing in my mental “rear-view mirror” my old behavior is much easier to explain and understand. Back then were the days when my feelings were frequently about not measuring up. No matter what I accomplished it was rarely good enough. Achievement usually felt flawed. I frequently nitpicked what was good until there were defects in them I created. In the past I spent so much time wanting to be loved and hoping love would find me. My yearning was engulfing. I did not see the special love I sought even when it was before me. I searched past it for something else. I felt empty and lost. The reason that love I so desperately sought eluded me was because I wanted someone to fill me up with love, which is not how life works. What I needed had to happen from the “inside out”. Those were the days when being alone for more than a few days made me crazy. I was like some battery that needed to be recharged, but could not charge itself. The shortage was because I did not love myself. The energy… the feeling… the charge… I wanted so much-needed to come from within myself. But I did not know how. 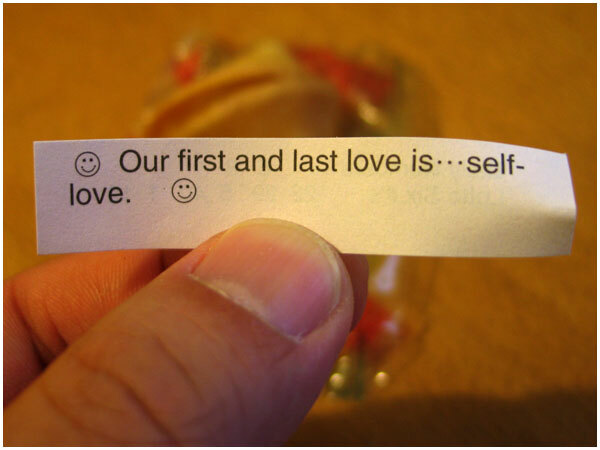 Today I know that loving my self is mainly about self-respect. It’s the only dependable way I have control over creating love for myself. In the past when expecting love from an external source, and what I got did not fill my void I felt even worse. No one could love me until I loved myself. I am able to receive no more love than the amount of love I have for me. feeling the way I do. I imagine if I thought for a while I could create a fairly long list of the ingredients I used to fall in love with myself (most days anyway). Highest on the list would be: forgiving my self! Only by letting go of wrongs done, failings and mistakes could the blemishes I placed on myself begin to fade. It took saying “I’m sorry” to a lot of people. Too, I learned in some cases there is no good to come of trying to express regret to those wronged. For some it only makes things worse (a difficult lesson). As I think of what I am grateful for this morning, what is on the top of my mind is how I feel about myself today. It has been a rough and painful path to get here, but I am grateful to have found the route. I feel the best about myself I ever have. There is a good measure of peace inside me I never knew before. My life has been blessed in many ways, but none more so that learning how to love myself. Many helped me get here. To all those who have and do love me… thank you for kindness and support that kept me on this path of learning to love myself. is to accept oneself completely. This entry was posted in Life, Love, Self Awareness and tagged being true to myself, learning to be happy, self-awareness. Bookmark the permalink.